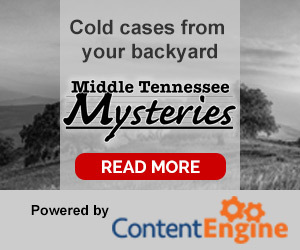 Murfreesboro Voice - News Site Covering News of Murfreesboro & Rutherford County. Established November 1, 2017, The Murfreesboro Voice is an online news site focused on Murfreesboro, Tennessee and surrounding Rutherford County. The site is published by Bondware Web Solutions as a service to our home town community. We publish unique local news and information free-of-charge via our website, twice-weekly email newsletter and social media channels. The thing that makes us different is that we rely heavily on "Voices" (local writers & photographers with diverse perspectives) for unique content. This practically guarantees your will learn something "completely different" on each visit. We also incorporate social commentary around content to encourage healthy debate on important issues. Our business model includes splitting all revenue 50/50 with contributing Voices based on their contribution to site traffic (content views) each month. Content views are weighted when calculating relative contribution levels. Article views having a weight of 1.0 while photo/slide-show views are weighted at 0.5. If you would like to contribute content to this site, please click the REGISTER link at top-right of the site. Once registered, go to your "PROFILE" page to submit content. All submitted content is moderated. If you would like to receive our emailed headlines, just click the "NEWSLETTER" link at the top of the page. We hope you will join us in this exercise in experimental journalism. We welcome your feedback on the site via the site's Contact Us form.